You just picked up your new DROID 4. You love the sleek profile, the powerful processor, the 4G speeds, and perhaps most importantly, the slide out keyboard. But you don’t love the fact that it won’t sync with Outlook. At least not out of the box. There are a lot of people out there who need to sync Android with Outlook. And most phones don’t come with a built-in Outlook sync. So where to you go? That answer is easy: CompanionLink. We make it easy to sync your data, your way. Whether you want the security and simplicity of a USB sync, the convenience and freedom of syncing with Google, or maybe something in between. We’ve got you covered. Or maybe you need to sync with something other than Outlook, like ACT!, Zoho, or Palm Desktop. We can handle those and many more. Our goal is to work for you, regardless of your setup. So download your free trial today. Then head over to our Getting Started page and you’ll be syncing with CompanionLink in no time! For power users who need to stay productive on the go, the ability to go a full day on a single charge with the Droid Razr Maxx is a huge benefit. 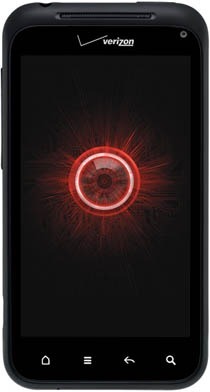 In fact, the Droid Razr Maxx has many great features that make it a powerful phone for business users. But like its younger brother, the Droid Razr, it doesn’t offer built-in sync for Outlook, or any number of other popular CRM platforms for that matter. So how do you sync Outlook contacts, calendars, tasks, and memos with the Razr Maxx? Use CompanionLink. Syncing is as easy as downloading DejaOffice on your Droid, installing CompanionLink on your computer, and then configuring your preferred sync method. We’ll walk you through each step, and we’ve got free support if you need a hand. So what are you waiting for? Unleash the full potential of your new Droid Razr Maxx with CompanionLink and DejaOffice. Download your free trial today! Motorola just announced their latest, and perhaps their best, smartphone yet – the DROID RAZR. As the name suggests, this phone is razor-thin. In fact, it’s one of the thinnest phones available, measuring just 7.1mm thick. Don’t let its size fool you, however, this slim phone packs plenty of power! In addition to the specs above, the RAZR features both consumer and business-friendly capabilities. Motorola’s famous docking features make the phone your computing hub, allowing you to transform it into a laptop or media center effortlessly. And the RAZR is ready for business, with access to enterprise-level services like Exchange, GoToMeeting, Microsoft Office, and more. Can’t wait to get your hands on one? 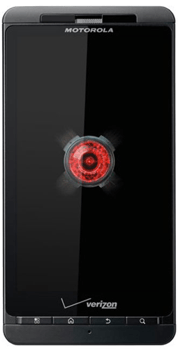 The DROID RAZR is available for pre-order from Verizon beginning October 27th for $299. And since it’s running Android, you can sync the DROID RAZR with Outlook, Salesforce, ACT, and much more with ease using CompanionLink! To learn more, or to try it out for yourself with a 14-day free trial, head over to our Android Sync page. It’s been 9 months in the making, but the DROID BIONIC is finally here. It was first seen back in January, but delays, rumors of cancellation, and more delays have caused the BIONIC to become one of the most hyped phones this year. And based on its specs, Motorola is hoping to deliver on that hype. It is no doubt a powerhouse, something the specs, and the price, reflect. The BIONIC features a 4.3” qHD touchscreen display, dual-core 1GHz processor, 1GB RAM, 16GB internal storage with a 16GB microSD card preinstalled, 8 megapixel camera, and much more. Running on Verizon’s 4G network, the BIONIC is listed at $299 with a new 2-year contract. As you can see, we got our hands on the BIONIC and are happy to report that CompanionLink will allow you to sync the BIONIC with Outlook, ACT!, Salesforce, and more! Contacts, calendars, tasks, memos and more all sync seamlessly. Try it for yourself with our 14-day free trial or grab a copy of CompanionLink today. Prices start at just $49.95. What do you think of the BIONIC? Do you have questions about syncing? Leave a comment below! Motorola released the DROID 3 to the public today. With a 1GHz dual-core processor, high-density 4” qHD screen, an improved keyboard, and the latest version of Android, the DROID 3 is among the top-spec smartphones for 2011. The DROID 3 is available from Verizon for $199. Using CompanionLink, it’s possible to sync contacts, calendar, tasks and notes between the Motorola DROID 3 and PC software such as Microsoft Outlook, ACT! by Sage, Palm Desktop, Lotus Notes and more. You can sync direct via USB, via WiFi, via Secured Hosted Wireless sync, or via Google. Find more info, as well as a 14-day free trial, at www.companionlink.com/android/. Want to sync the Motorola DROID 3 with Outlook? Download a free trial of CompanionLink for Outlook today! 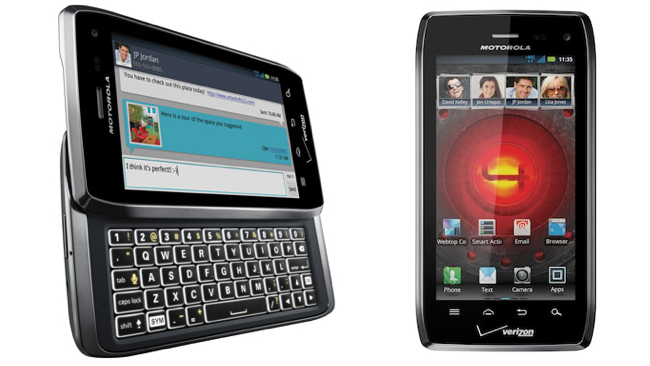 The Motorola DROID X2 has officially arrived in stores today. 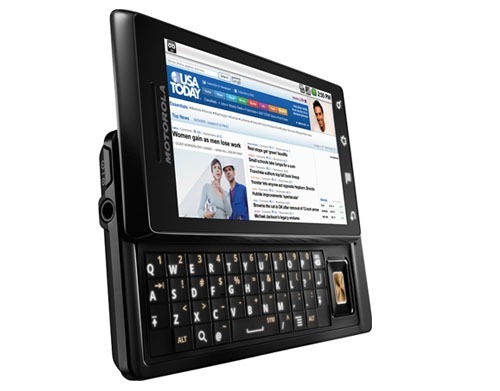 With a 1GHz dual core Tegra 2 processor, a 4.3” qHD display, 8 megapixel camera, HDMI out, and more, the DROID X2 is sure to impress. We’ve had ours for a few days already and have been testing it to ensure that everything works smoothly with CompanionLink and DejaOffice. The verdict? It works great! As expected, the DROID X2 behaves similarly to other Motorola DROID devices, meaning that those who wish to sync via USB will need to be sure to put their new DROID in “Charge Only” mode (or “None”) when selecting the USB connection type. CompanionLink makes syncing contacts, calendar, tasks and notes between the DROID X2 and CRM databases such as Outlook, ACT!, Palm Desktop, Salesforce, Zoho and more easy! In addition to the aforementioned USB sync, we offer local Wi-Fi sync, automatic wireless sync via Google, and our own Secure Hosted wireless sync service. HTC recently released their follow-up to last year’s very popular DROID Incredible. Aptly named the DROID Incredible 2, this Android-powered handheld is a solid update from last year’s model. The HTC DROID Incredible 2 features a 4” display, a 1GHz processor, 768MB of RAM, and an 8-megapixel camera. The phone ships running Android 2.2 with HTC Sense. All in all it’s a great device and a worthy competitor among today’s top mobile phones. For early reactions to the device, as well as some detailed photos, check out Android Central’s initial review. 1. On the Droid, open Contacts, then go to Menu -> Display Options. 2. Tap the name of the primary contacts account. This will cause the account group list to display. – To display categorized contacts, select “System group: My Contacts”. – To display uncategorized contacts, select “All other contacts”. NOTE: To filter the display so that it only show certain groups (categories), uncheck “System group: My Contacts”, then check the name(s) of the specific groups you want to display. In the October 2009 issue of AdMob Mobile Metrics Report, the company has a telling chart that lists the phones people are using on the Android platform. 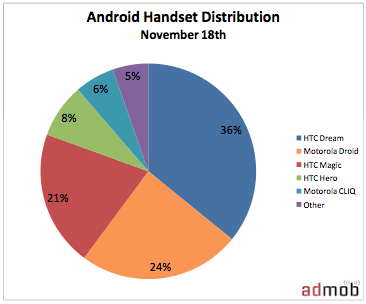 While the Droid has been available for less than one month, it has managed to grab nearly 25% of the Android market. CompanionLink continues to align closer with Android devices. CompanionLink already offers a two-way sync solution between PC and Google, which natively feeds the address book and calendar on Android phones. CompanionLink is also working on a two-way USB sync between PC and Android. This will allow users to sync PC (ie – Microsoft Outlook) contacts, calendar, tasks and notes to their Android using the USB cable that came with their device.